Many people consider Chris Tomlin to be the standard bearer of worship music in the United States. Some even go as far as to say he’s America’s worship leader. Can you blame them, though? Almost every single he puts out goes straight to number 1 and finds itself in the setlists of worship teams across the country. 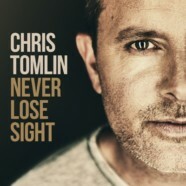 Point being- Tomlin consistently writes powerful songs that are just plain good, and now he’s released his latest offering- Never Lose Sight, which follows up 2014’s Love Ran Red. With Never Lose Sight, Tomlin is right on par with his previous records and picks up right where Love Ran Red left off, filled with pure inspiration, power and emotion. The record kicks off with lead single “Good Good Father,” which is by far the strongest track. It epitomizes what a Tomlin classic is all about and is guaranteed to be one of his biggest songs yet. Then there are tracks like “He Lives,” “Home” and “Come Thou Fount (I Will Sing),” which are instant anthems. You can close your eyes and picture yourself in a huge arena with 20,000 people, singing at the top of your lungs. With this record, Tomlin brings in guests Danny Gokey and Kim Walker-Smith for a few tracks, which only adds to the power of the songs. It helps that Gokey and Walker-Smith are both still up and coming and establishing themselves as major players in the CCM world and there’s no better way to get to the next level than to find yourself on a Tomlin record. When it all comes down to it, Tomlin has put together yet another timeless classic. The guy can’t write a weak record. Never Lose Sight stands right up there with Love Ran Red as well as some of his earlier records. There’s no shortage of Tomlin classics on this album and it will go down in history as one of his best albums.